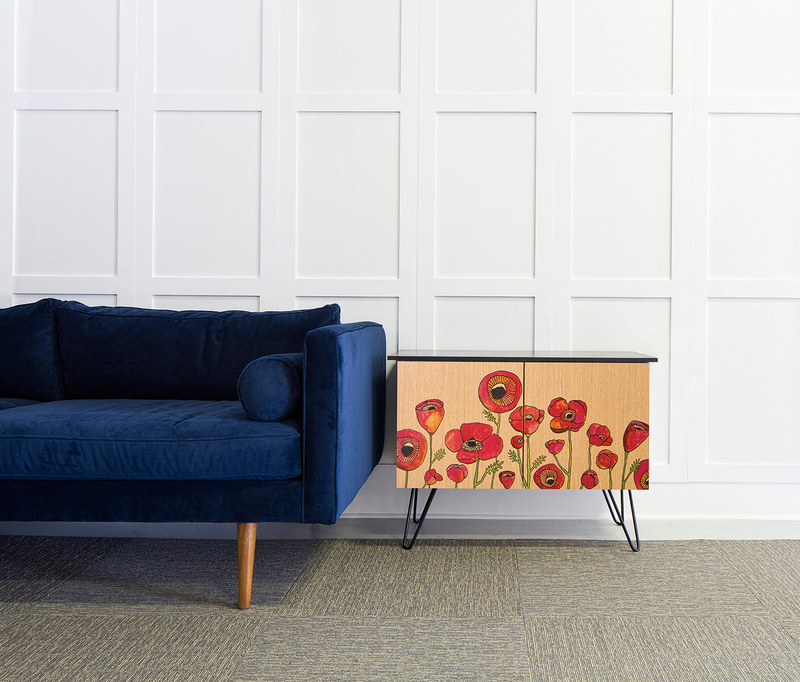 Semihandmade (http://www.semihandmadedoors.com) – LA-based manufacturer of doors that fit Ikea kitchen and furniture systems - announces the debut of its PRINT collection of cabinet doors. Says founder John McDonald, “We’re collaborating with eight amazing artists and bringing their unique vision to our doors. 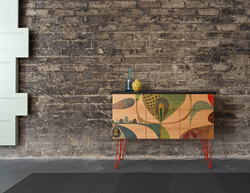 PRINT combines Semihandmade’s trademark high-quality wood veneers with cutting-edge ink-jet technology. Doors are available for select Ikea bathroom, media and console cabinets. PRINT will make its formal debut at the International Contemporary Furniture Fair in New York this May. Says founder John McDonald, “We’re collaborating with eight amazing artists and bringing their unique vision to our doors. PRINT adds an entirely different dimension and texture to furniture.” Featured artists include 33 Stewart Avenue, Erik Abel, Art of Board, Lisa Congdon, Mirth Studio, Elizabeth Olwen, Eloise Renouf and Rex Ray. “All of them have backgrounds working with some of the biggest names in retail; we’re thrilled to add Semihandmade to that list.” The doors have a six-week lead-time and are priced in the premium range. In addition to ICFF, Semihandmade will exhibit PRINT at Dwell on Design in Los Angeles in June and at IDS West in Vancouver in September. The company is also expanding its brand by opening mini-showrooms inside WeWorks in Chicago, Pasadena, Brooklyn, Manhattan, Seattle and San Francisco. 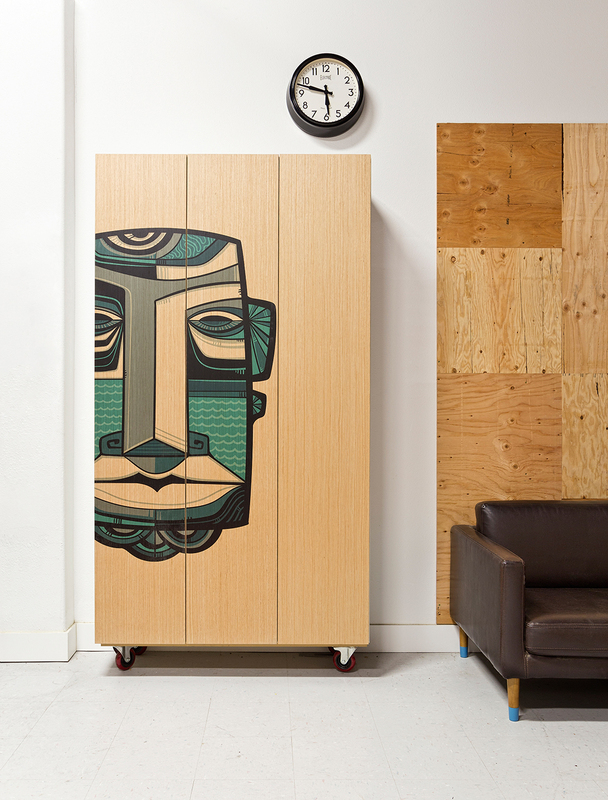 Started in 2011, Semihandmade makes doors that fit IKEA cabinets. Though unaffiliated with Ikea, the company has completed close to 4000 kitchen, bathroom, closet and media projects throughout the US and Canada and opened showrooms in Burbank and Palm Springs, CA. In 2015, Semihandmade was named to Inc. Magazine’s list of the 500 fastest-growing private companies in the US. For more information, visit http://www.semihandmadedoors.com.